Fall is right around the corner, and with it comes the arrival of the trendy deep lip colors. I am so ready and excited to begin sporting the darker toned lip colors, one of them being Stila's After Glow Lip Color in the shade Vivid Violet. I found this gem over at a nearby Nordstrom Rack store last month, and I didn't think twice about purchasing it-especially at the deep discounted price it was going for. Gotta love Nordstrom Rack! I am a huge fan of the jumbo pencil packaging. It's sleek, easy to travel with, and I love how the shiny black exterior contrasts with the vividness of the lip color. I also really appreciate the retractable function of the pencil. Since no sharpening is needed, there is no product waste, which is a huge plus. There is a sweet, fruit-like fragrance to this lip color. But it's pretty subdued and not offensive in the slightest. I actually quite like it. I am no stranger to Stila's After Glow Vivid Lip Colors. I have two others (electric pink, and tangerine dream) that I have rocked quite a lot this spring/summer. What's cool about Stila's After Glow Lip Colors is that they contain florescent pigments that help intensify the vibrancy of the lip color when in sunlight. In addition to the fluorescent attribute, the pigments are also black light sensitive, which means that this lip color glows in the dark when exposed to UV lighting. Now, I haven't tried any of Stila's After Glow Lip Colors under UV lighting, but when that day comes, you can bet I am looking forward to seeing the glowing effect it's going to give off. How cool is that gonna be!? 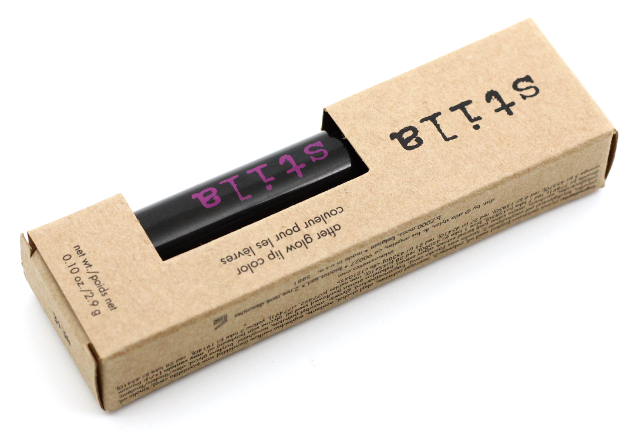 Stila's After Glow Lip Colors are infused with a couple of beneficial ingredients, that lips are sure to love. Vitamins C and E provide the antioxidants, sunflower seed oil helps nourish and moisturize, and oat kernel extract calms and soothes lips. These lip colors are free from parabens, sulfates, and phthalates. What I love about Vivid Violet is that apart from being in the deep tone family, this lip color is also borderline neon. I don't think I have a dark, almost-neon sort of shade in my collection, but I am glad I do now because I think the merge of the two is pretty refreshing. 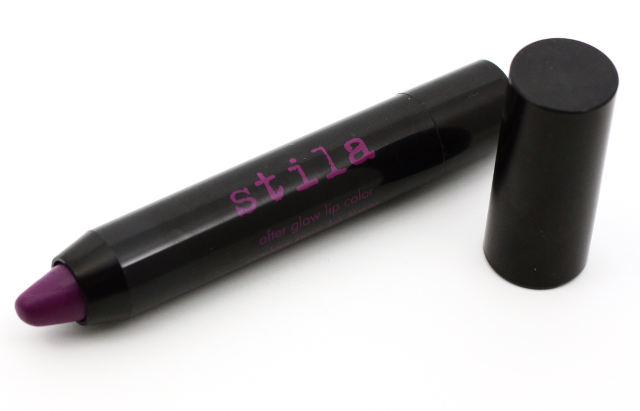 Stila's After Glow Lip Colors contain a lightweight texture that makes application a breeze, and Vivid Violet is no exception. It goes on amazingly smooth, without pulling or tugging on the delicate lips. This lip color gives off a shiny finish that is really flattering on. When I have this on, my lips not only look and feel so much smoother, they also feel moisturized, to boot. Not surprisingly the color payoff on Vivid Violet does not disappoint, and the medium coverage is easily buildable. 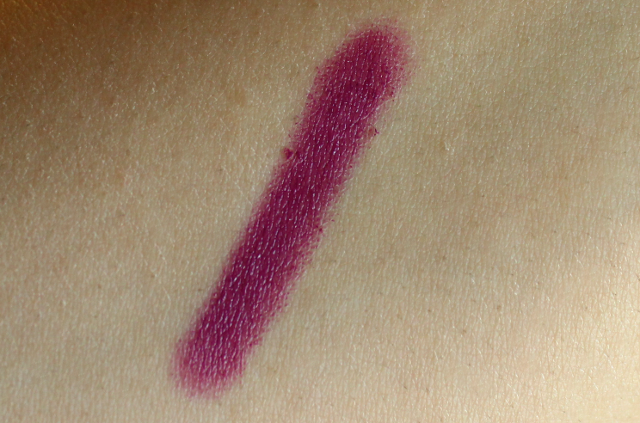 I noticed that this lip color settles into lines a bit, and it can cling to dry areas and flakes. This is not a huge deal breaker for me, but I do suggest properly exfoliating and prepping the lips before application, in order to obtain the smoothest looking results. When it comes to lasting power, I get a little bit of fading around the 4-5 hour mark. This leaves behind a pretty stain that lasts a nice while on lips. Vivid Violet is my third Stila After Glow Lip Color, and I love it just as much as the others. If bold is what you are looking for, Stila's After Glow Lip Colors will deliver. 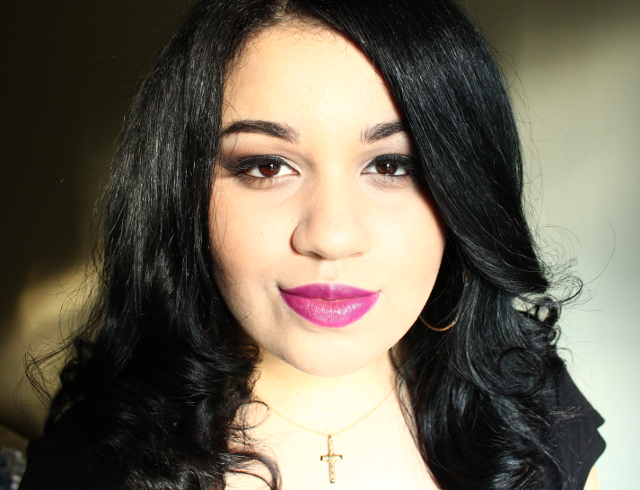 One of my beauty goals this fall/winter is to sport more purple toned lip colors. The purple is a nice change from the usual berries and reds that I frequently lean towards. I don't have too many purple toned lip colors in my collection but I am definitely going to be experimenting with more of them. If you have any suggestions for a purple lip color, please let me know in the comments below! 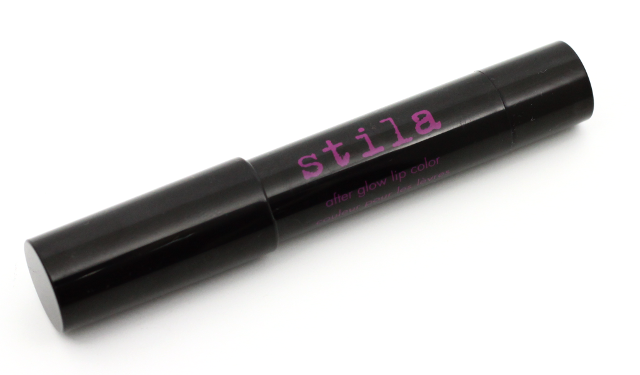 What do you all think of Stila's After Glow Lip Color in Vivid Violet?